‘Tis the season to toss your yoga pants in the wash and get dolled up! 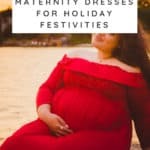 When you’re plus size and pregnant, it’s difficult to find plus size maternity dresses that go beyond basic black or floral print. 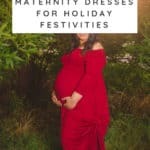 Well, break out the mistletoe because we’ve found 7 gorgeous red plus size maternity dresses that will leave you feeling breathtakingly beautiful. Whether you’re attending a holiday party or going on a special date night, this stunning red plus size maternity dress is perfection! It comes in ten colors including maroon red wine and this crimson red. You can also get this dress in navy, white, light brown and a few other options. The best part is that it’s available via Amazon Prime. If you’re a last-minute shopper you can have this dress hanging in your closet in two days! This dress is an investment, but it’s one you won’t regret. It’s perfect to wear for a plus size maternity photo shoot. Then select your favorite image for an unforgettable holiday card! With over 20 color options, be sure to see this wonderful find available on Etsy. 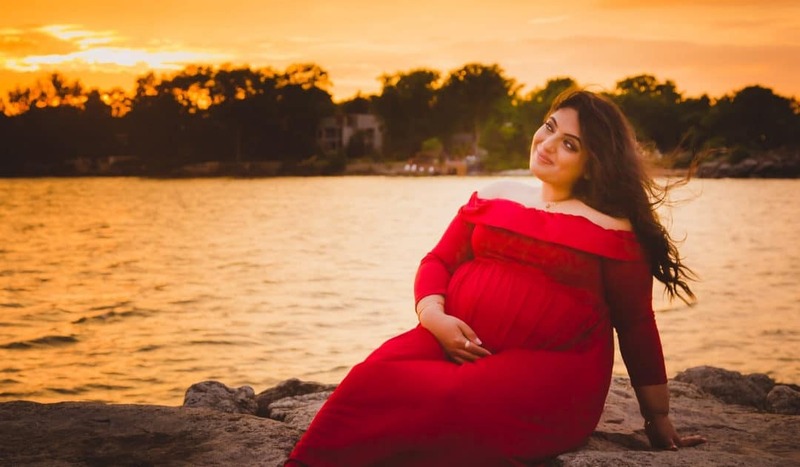 Our gorgeous cover model, photographed by Baby Buzz, is wearing this lovely off the shoulder long sleeve plus size red maternity dress. Not only does this dress come in a few different colors and patterns, but it’s also affordable! The sizing is XL, so while it’s accommodating, it’s also from Amazon, so it’s easy to return if it doesn’t fit. Here’s another beauty showing off the shoulder red plus size maternity dress! You’ll surely turn heads with this lace red plus size maternity dress from Amazon. It comes in 14 different colors! The sizing says it goes up to 4XL. It’s worth a try if you want to have this beautiful lace look (perfect for maternity photos). 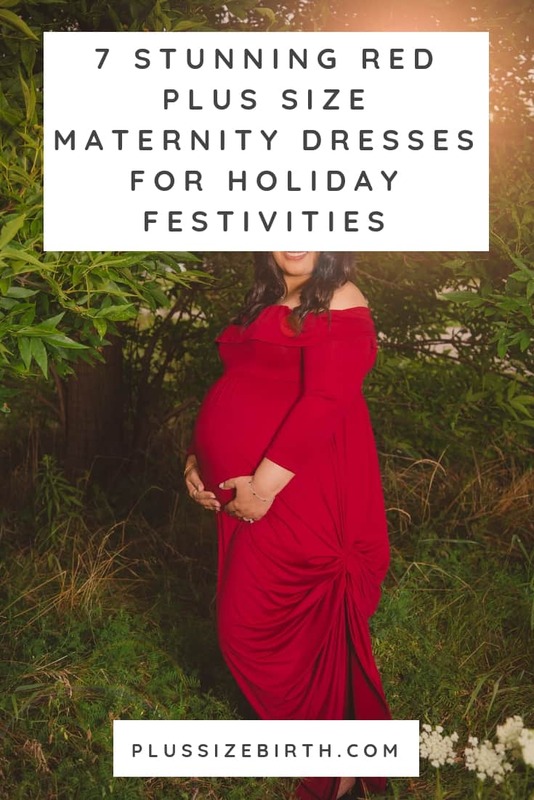 There’s a misconception that only thin women can rock a fitted maternity dress. As you can see, this mom-to-be looks amazing in this plus size maternity gown. Best of all it comes in seven different colors from Amazon. Lace and grace! You just might fall in love with this dress that comes in eight different colors! While sizing is limited, it can be easily returned from Amazon. goes up to a size 24. ASOS often runs promotions so you can probably get this dress for less. Regardless of what you decide to wear this holiday season, be sure to embrace your bump! 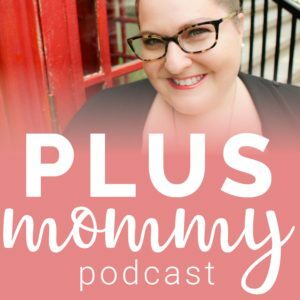 If you’re struggling with body image, read our Last Minute Body Positive Holiday Survival Tips. Happy Holidays!